Free shipping bar extension helps to notify customers about their minimum cart total to get free shipping. Customer likes to buy more until they reach to free shipping cart value. Minimum total value is required to get free shipping. This extension calculates difference between current cart total and free shipping goal automatically. Admin can set free shipping total as per products value. After customer successfully achieved at free shipping value, they notify with a pop up message. Customer can get notification with popup that they reach at free shipping goal. Free shipping bar extension helps to promote your store and products. So customers can buy until at reach free shipping amount. 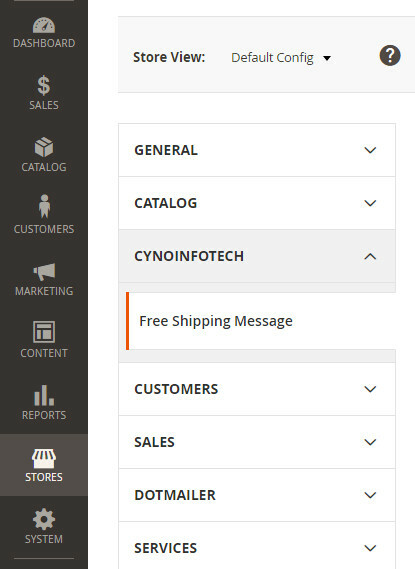 Admin can display magento 2 free shipping bar on multiple pages, places like home page, cart page, checkout page, product page. 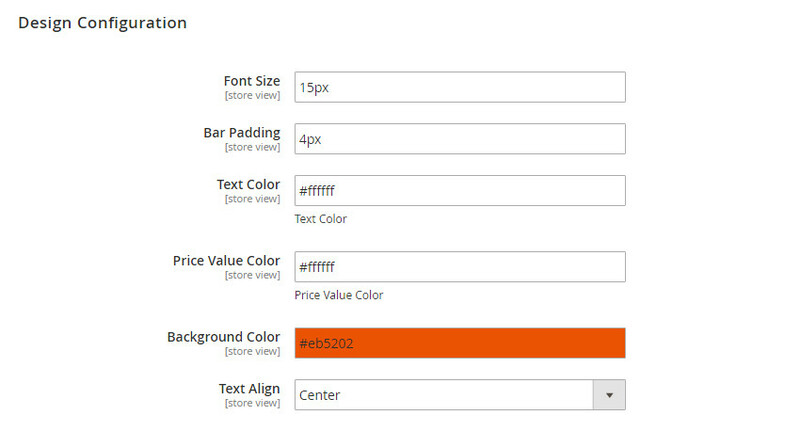 Free shipping bar magento 2 extension customization like font, color, font size, background color, alignment. 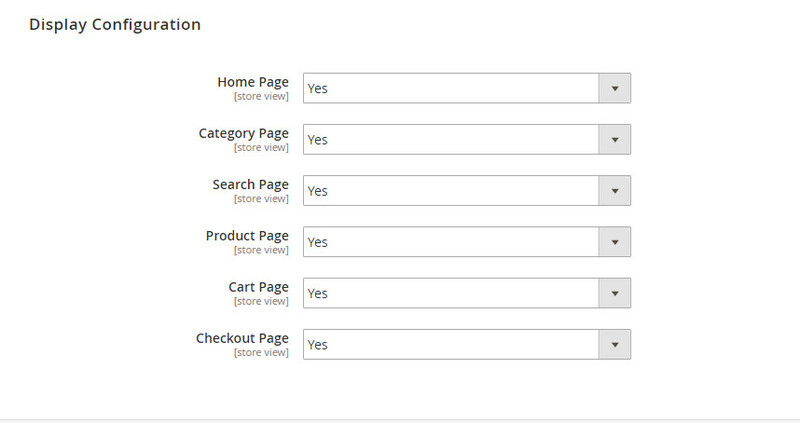 Display bar until to reach free shipping cart value. Auto calculates difference between current cart total and free shipping goal. 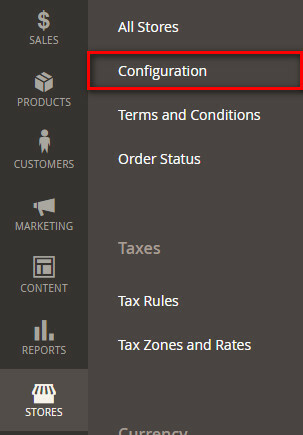 Admin can set shipping bar at any place on any page. 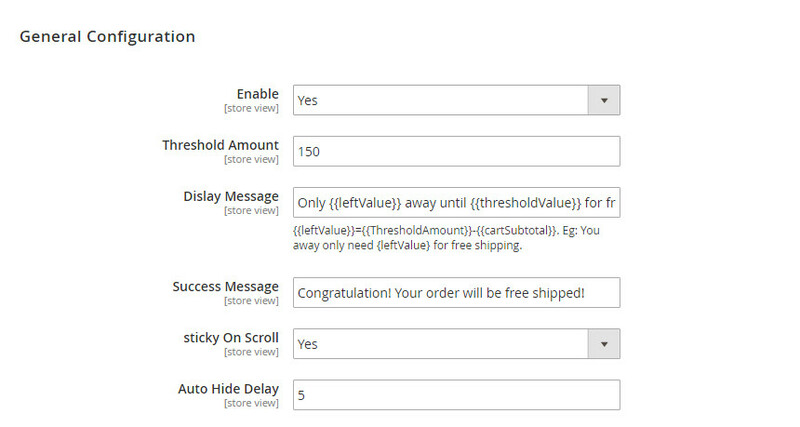 Display popup notification after customer achieved at free shipping value. Help to promote store and products. Customize shipping bar with font, color, alignment. Customize successful free shipping popup by admin.